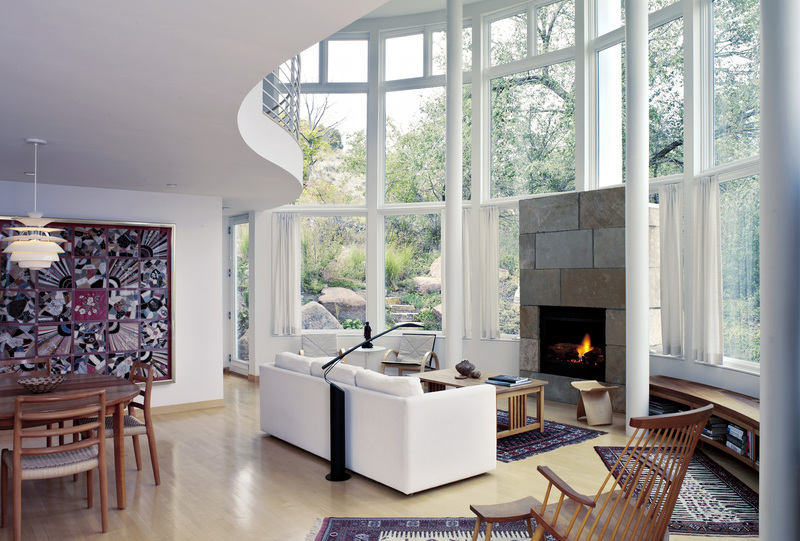 The Jessor/Menken residence is an excellent example of creating a dynamic space with simple materials. The innovative shape of the house is composed of glass and wood contrasted with thick linear walls made of stucco. As avid mountain climbers, the owners wanted a house that integrated their outdoor lifestyle into the architecture. In response HMH designed a stair as a focal point of the design. The house is a composition of four floors with a linear stair running along the thick wall. Small punctured windows provide playful shadows on the climb up the stair culminating in a fifth floor rooftop terrace.